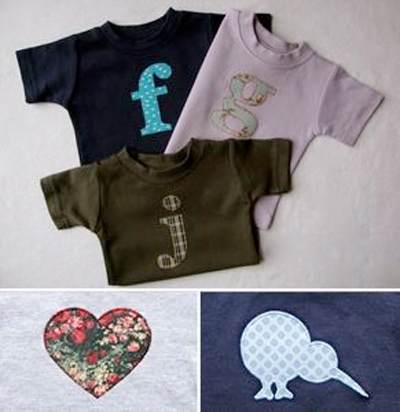 I design, cut and sew my own appliques on to quality cotton shirts to make a practical and precious baby gift. I am obsessed with personalised products (I think it comes from having an uncommon name!) so I particularly love using alphabet letters to make something that will become a keepsake after baby has grown out of it. I like working on a really small scale so I can see results quickly and I only need a small amount of gorgeous fabric to make something with impact. My other products are even smaller than my tiny shirts – things like bag tags and brooches. I admire anyone who is making their own designs and putting their work out there for the public to see – it is hard! My inspirations are in my everyday family life, like interests that my daughter has, children’s books we read or things in nature we come across during the day. I am also addicted to quilting fabric, there are so many amazing designs, so sometimes I start with fabric and have to figure out a way to use it that will look young and fresh. It has always been movies, but lately it has definitely become crafting… I have to watch that I’m not trying to talk about it with people that are not as interested as I am! I would love to see some of the markets and events out of Auckland to see what other crafters are working on – A Craft Affair in Christchurch sounded great. Cutting things from fabric back-to-front. Often. I am supposed to have two shelves and half a desk in our spare room, but my fabrics and stencils have exploded all over the room and I can’t figure out how to condense them again. Have a great week everyone ... and if you want to be a friend of New Zealand Handmade click on this We would love to interview you. Isn't it easy to let things you love take over your spare room - and they never ever seem to fit back where they came from!! Nice to meet you! 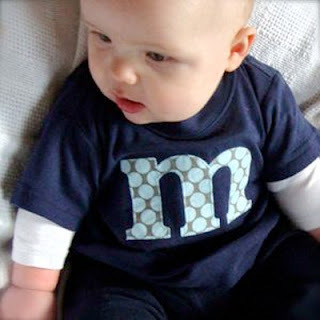 I love the shirts, I've bookmarked your site for when I need the next baby gift!